WOW, time is sure flying by! I can't believe it's already day 3 of our sneak peeks! How about you????? 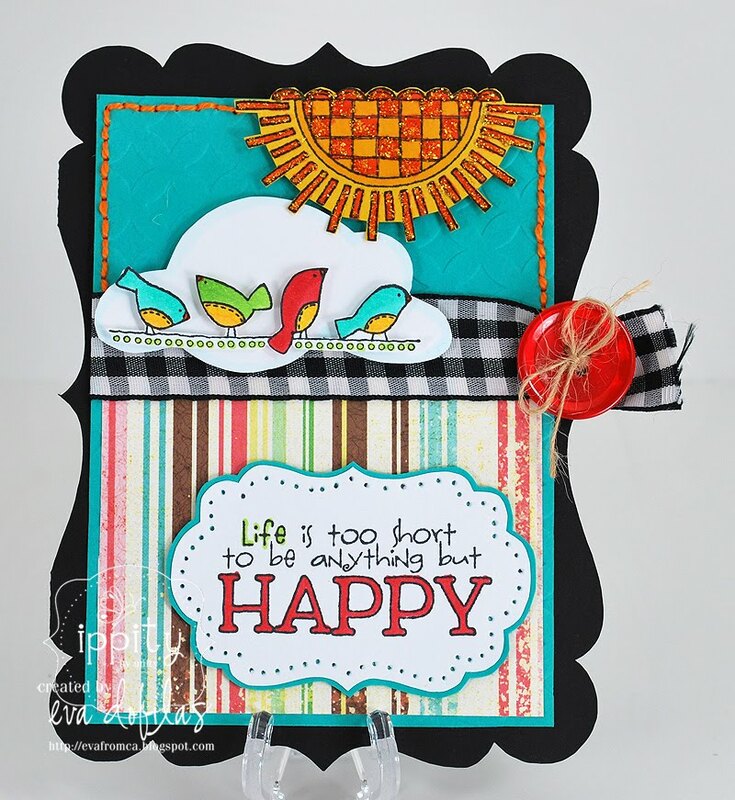 It sure is going by quick and I am having fun creating new cards every day for the next day! 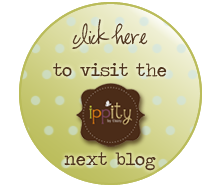 By the way if you didn't arrive here from Angie Blom's blog, please hop on to the Ippity Blog to start the hop, so you don't miss anything! My first card today is made with a totally fun set called Quotes a'la HAPPY and what a perfect name it is indeed....the quotes in this set are amazing and the images are totally adorable! So, let me show you my card made with it. My card base, cloud and label, all were cut with Silhouette. Patterned paper is Echo Park Papers Life is Good. And how about that sentiment and those birds??? Love it!!! My second card is a Halloween card made with a new Halloween set called That's Creepy. It's such a fun set! My card is made with Basic Grey Eerie papers (thanks Irina for coming for my rescue.. :)) and I even used my crinkle ribbon. I added some Stickles to my pumpkin swirls and spiders, aren't they just cute? Well, hope you like these two cards and now head on over to see what Karen has waiting for you! I know it will be something AMAZING!!! Enjoy the hop and have a FABULOUS Tuesday!!! See you tomorrow with another sneak peek!! !